Straight flying putter with a soft fade. "Our new Prodiscus STARi midrange disc provides unbelievable control for your approaches and takes your game to a new level. The STARi is very easy to throw and perfect for anhyzers and straight shots. In the hand, the STARi has a very comfortable feel to it with its rounded and beadless rim. The STARi has nice speed and above average glide. With extra glide, the STARi floats a very long time. Throw it with a hyzer and STARi flips up flat then holds a straight line. Throw it flat and STARi will turn over. Prodiscus FASTi is fast and understable distance driver which makes it suitable for many players. Prodiscus is the very first Finnish golf disc manufacturer! The company started in 2006. 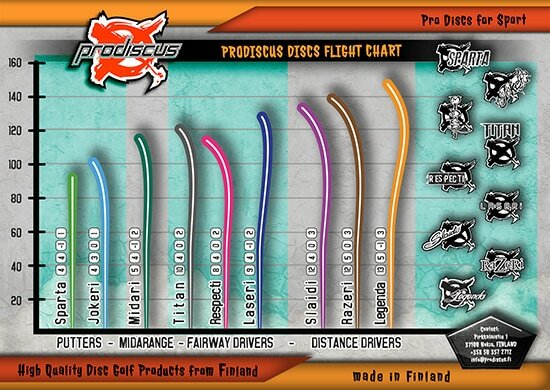 Early 2010 Prodiscus started manufacturing the first Finnish disc golf discs and in 2011 the renowned Prodiscus Pro Bag. 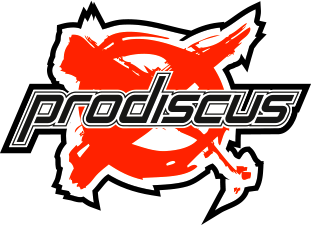 At the same time the Prodiscus Team was created and Prodiscus started to host and sponsor disc golf events all around Finland and Europe. Today Prodiscus mainly focuses on product development from a full set of discs to professional level bags and baskets. And of course supporting the growth of the sport on all levels. Prodiscus is a growing brand. Our idea is to create premium quality products and spread the message to all players in Finland, Europe and across the pond. Team Prodiscus is a team of players from several countries representing this idea and the sport in events of all levels.